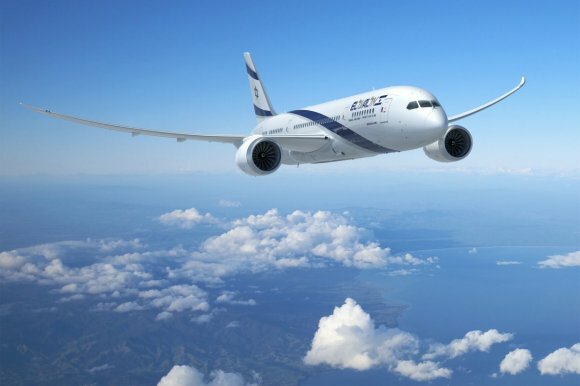 Israel and carrier El Al have reached the age of 70 and both have plenty to celebrate, but the pressure is on to compete in the age of open skies. This year, both Israel and El Al Airlines have their 70th anniversaries. El Al plans to celebrate, but it also finds itself at a crossroads. Over his four years at the helm, former chief executive David Maimon ordered 16 Boeing 787 Dreamliners, created a solid network expansion, cut costs and developed its ground-services operations, thereby lifting its share price 200 percent. However, over the past year, that price has fallen by more than 50 percent thanks in part to Israel’s open skies policy bringing competition from other carriers. Now Maimon has stepped down and new CEO, Gonen Usishkin, takes up the challenge of continuing El Al’s modernisation in the face of stiff competition. Oranit Beithalahmy, managing director North Europe and Africa, says there are two main areas of focus: further network expansion and fleet renewal – in particular, how to utilise the new Dreamliners on long-haul routes. For 2017-18, that has meant introducing new destinations in North America. Already flying to Boston, Los Angeles, New York (JFK and Newark airports) and Toronto, the carrier restarted flights to Miami last November, serviced three times a week with a 777, after a nine-year absence. This November, it will start Dreamliner flights to San Francisco – again, three times a week, driven by the passenger traffic between Silicon Valley and Israel’s high-tech industries. Instead, El Al is growing its network through codeshares and interline agreements with other airlines, including Air China, Thai Airways and jetBlue. The most recent have been with Aerolineas Argentinas to Buenos Aires via Madrid and Barcelona; AeroMexico to Mexico City via Madrid, Miami, New York and Paris; Qantas to Sydney, Melbourne, Brisbane via Hong Kong, Bangkok and Johannesburg; and TAP Portugal to Lisbon and throughout Europe. The agreement with Qantas is also working well, she adds, which will see El Al increasing its frequency to Johannesburg up to five times a week later this year with Sun D’Or, the airline’s charter operator. Sun D’Or will see specific network expansion, with new year-round routes to Kraków, Odessa and Tbilisi and seasonal ones to Ibiza, Lisbon, Malaga, Naples, Nice, Porto, Sardinia and Valencia. Nonetheless, Beithalahmy is optimistic that overall numbers are increasing, thanks to an increased interest in tourism to Israel – up 13 percent last year – and the Israelis’ own high rate of foreign travel. El Al’s problem, though, remains the country’s unique geopolitical situation. “Israel is like an island,” says Beithalahmy. “We are surrounded by Arab countries, and we don’t have peace agreements with all of them. We can go to Egypt and Jordan – that’s it. This means that when considering new destinations, the airline has to focus almost exclusively on whether they will be of interest to Israelis. El Al’s other focus, fleet renewal, involves retiring older aircraft, such as the 747, and replacing them with Dreamliners. Those it cannot immediately replace, it has refurbished by installing fully flat seat beds in the premium classes and slimline seats in economy. Last June, the airline suffered the embarrassment of being outed by London Heathrow as being the noisiest and dirtiest airline flying from the airport. It ranked 50 out of 50 behind airlines such as Kuwait Airways, Middle East Airlines and Pakistan International Airlines. Fortunately, El Al was able to demonstrate, with the Dreamliner order its plans to replace the worst-offending aircraft. In September 2017, the average age of its widebody fleet was 18 years. That will change once all 747s and 767s are phased out by 2020 and replaced by the new Dreamliners, lowering the average age of the widebody fleet to nearly seven years. “Dropping from 18 to just under six years old is a dramatic change,” says Beithalahmy, “but means phasing out some of our older friends, such as the 747 and 767. 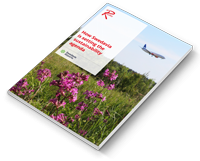 For long-haul flights we have competition with very respected airlines, so we have to keep up the pace of renewal. Even so, for an airline of El Al’s scale and position, an order of 16 Dreamliners is ambitious. “El Al is a small airline, but we are Israelis, so we think we are the centre of the world,” jokes Beithalahmy. El Al’s first Dreamliner flew to London in September and remains on the route. The second is operating to Hong Kong and New York, and another five will be flying by the end of 2018 with the total order delivered by March 2020. Clearly, El Al is determined to punch above its weight and is trying to fix its shortcomings. In the meantime, Beithalahmy sees its size and situation as a benefit. “We may be small, but we’re also flexible, so we’re able to adapt and add additional capacity according to the need of the market,” she says.